Wedding Fireworks Special Offers : Light Up The Sky With A Great Deal! If you are getting married this year and are looking for ideas on how you can add that extra touch of magic to your special day, you may not have even considered adding wedding fireworks as a perfect finale to your reception. 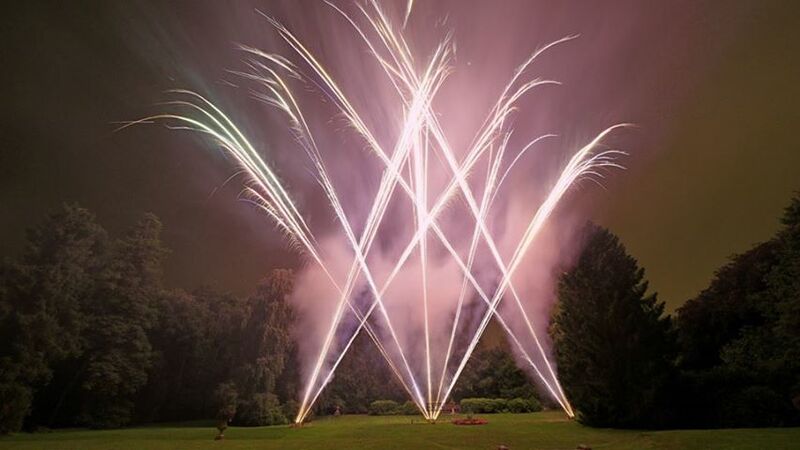 Solihull Fireworks are a prominent supplier in the industry and although we find ourselves busy each year supplying displays for brides and grooms, we still have a lot of customer’s comment that they haven’t even contemplated having a spectacular show on their big day. We are well aware there are plenty of other suppliers that have to be booked first which take priority and often in the past, we have joked that we should have established ourselves as dress makers or a jewellery company as they are higher up the list of “things to do” than wedding fireworks! We also realise that the economy is in difficult times with no quick recovery around the corner either. That is why we are trying to help our customers where we can by running some fantastic deals on our exciting packages. First of all, our entry level Sweetheart package has no price increase this year and remains the same, making it very affordable to have fireworks for your wedding day. 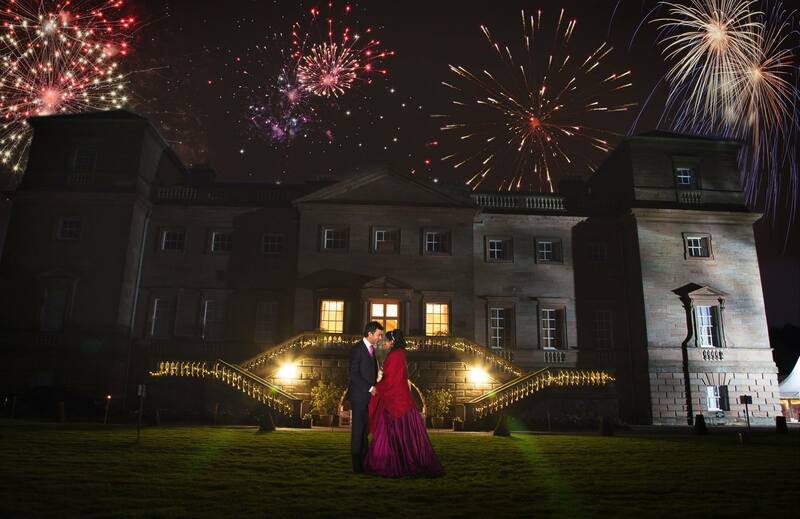 Our wedding fireworks special offers start with the Romance display and include free red hearts in the sky worth £60.00 – a very popular addition as you will witness them bursting into a gorgeous heart, filling the evening sky and wowing you and your guests! As with all our wedding fireworks, the display extras range is a wonderful addition and the spectacular finale upgrade enhances your shows final performance even more. We are promoting this with the Love package, offering you an extra £95.00 worth of rich, colourful effects. With our Forever and Eternity displays you can enjoy both the hearts in the sky and finale upgrade, worth £155.00 at no extra cost, and with the Forever package being our most popular show, plenty of couples are taking advantage of this great deal. Our two larger professional firework displays are a truly amazing spectacle without the need for any more additions, so we have reduced the cost of these fabulous wedding fireworks instead. Platinum is now £1395.00 and Diamond £1875.00 saving you £105.00 and £125.00 respectively. To take advantage and find out more information about our amazing summer deals, please visit our website – www.solihullfireworks.co.uk. You can also speak to one of our experienced display managers to discuss your options by calling our office number. This entry was posted in Uncategorized on June 10, 2013 by Rob Cotterell. When arranging Professional Firework Displays Event Safety, whether for a small private party or a large public audience, there are many factors to consider with the planning and organising. Health and safety is of paramount importance and key to providing a safe and successful venture. Professional firework displays are now a popular addition to all special occasions and a perfect finale, adding excitement and long lasting memories for your audience. Solihull Fireworks have been involved in many and over the years have provided fantastic displays for large public events, corporate functions, wedding fireworks, school summer proms and live pyro musicals. With the importance of health and safety in everyday lives, firework companies are now finding themselves busier throughout the year in providing their services and advising on all types of events. 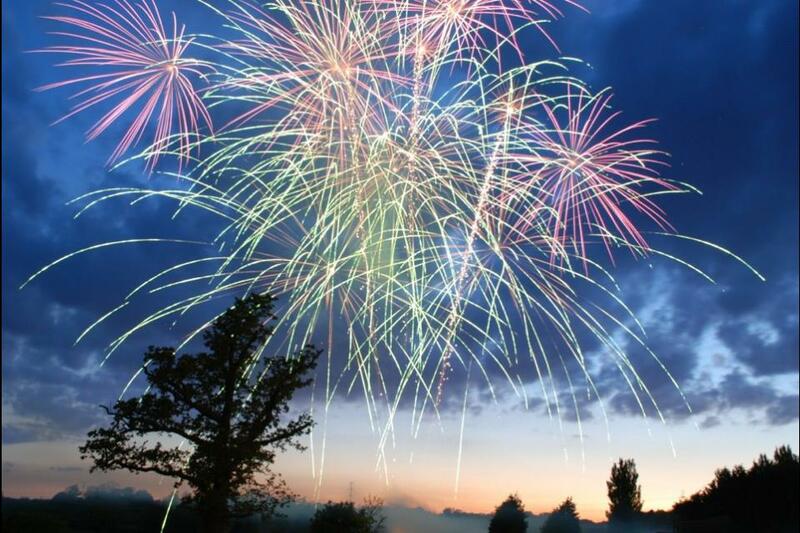 When hiring Solihull Fireworks, once you’re booking had been confirmed, we will visit your venue and meet to discuss how our professional firework displays and exciting options are open to you. A thorough risk assessment and site survey is also carried out to establish the safest firing site. Many factors have to be taken into account and just a few include – minimum safety distances to the audience and best spectator area, is the firing site clear of any obstructions such as trees, shrubbery, buildings or even overhead power cables? If livestock or other animals are housed nearby, is a lower noise display required? Will the fireworks have to fired before a certain time? Can environmental conditions on the day determine a second firing site? As with all our professional firework displays, another risk assessment is carried out by our firing crew on the day of the show to take weather conditions into account and determine if the other firing site is required. Our excellent safety record is something we are proud of but never complacent with. Our risk assessments and health and safety policy is updated regularly and all the activities we are involved with are covered with appropriate public liability insurance. Staff training is essential and we have invested heavily in our firing crews sitting both the British Pyrotechnics Association Firers and Senior Firers courses, all gaining the qualifications required to now work on professional firework displays. So, If you are planning a special event this summer or you are a business looking at corporate firework displays, please visit our website for more information or why not give us a call and come down and meet with us to discuss how we could provide you with a safe, spectacular finale to your evening! This entry was posted in Uncategorized on June 4, 2013 by Rob Cotterell. When booking wedding firework displays in solihull, very often it’s the first time our customers will have had to arrange a professional display. At Solihull Fireworks, when dealing with new clients, it is common for us to get asked a number of questions about the services we offer, whilst we are explaining the amazing fireworks options available from our display packages. Generally, the first question is “what happens if it rains on the evening of our special day and the fireworks get wet?” – Well, as we work in all kinds of weather throughout the year, we are always very well prepared for wet and damp conditions even if it’s isn’t forecast. On all wedding firework displays our firers carry special waterproofing materials to keep the sequences and equipment dry from any rain or wet weather and with all shows fired either electrically or digitally for maximum viewing pleasure, this eliminates any risk of poor weather compromising the displays performance. A firing time to start the fireworks is an important decision to make as it is essential to fit in with the rest of your evening’s entertainment. During the summer months we tend to fire displays later on, between 10pm and 10.45pm as we need the darkness for the audience to fully appreciate the rich colours and beautiful effects. This works extremely well with all wedding firework displays as it offers the wedding party an opportunity to come outside and enjoy some fresh air throughout the performance of the display. You and your guests can then carry on and enjoy the remainder of your reception even more! During the rest of the year, when the day light is shorter, it’s preferred to fire the display earlier in the evening – just after the wedding breakfast and the speeches. Again this bodes well as the reception can continue to run smoothly afterwards, with the rest of the evening’s entertainment to look forward to. Unfortunately for brides and grooms who want wedding firework displays at the very end of the evening, usually midnight, it is law we can’t let fireworks off after 11pm – only on Diwali, Bonfire Night and New Year’s Eve! On booking your fireworks, you can sit back and relax and leave us to design a stunning show that will leave you with wonderful memories. 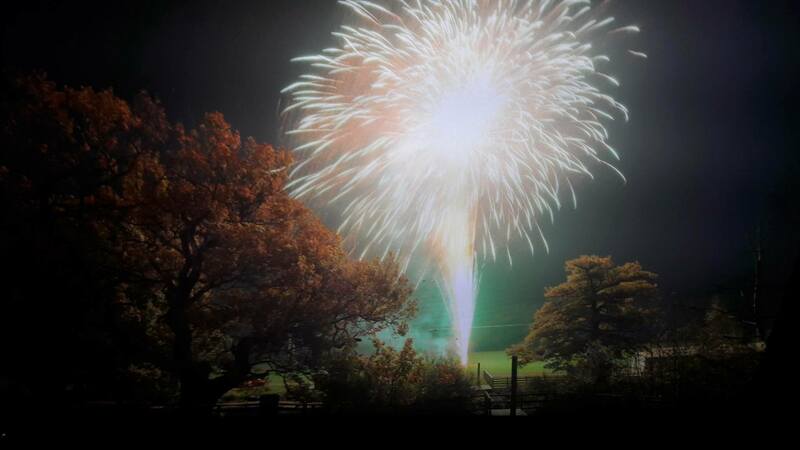 Solihull fireworks will take care of all the legalities your hotel or venue will require. We carry out a full risk assessment and site survey of the firing site and will liase with your wedding co-ordinator on your behalf. We are fully licensed with a thorough health and safety policy in place and have comprehensive public liability insurance, covering us fully in all our activities. Please visit our fireworks for sale website to find out more about our professional firework displays and the breath-taking spectacle we could be bringing to your very special day. This entry was posted in Uncategorized on May 22, 2013 by Rob Cotterell. Cheap Fireworks For Sale : Quality Products For All Occasions! As a highly recommended supplier of cheap fireworks for sale across the Midlands area, Solihull Fireworks has gained an excellent reputation for our fireworks for sale range. With many years’ experience behind us, we strive to maintain and introduce new, high quality products as often as possible to offer our customers the very best choice when purchasing their display. Our all year round fireworks shop is based centrally in the West Midlands area, nr Birmingham, easy to reach by car or public transfer and open 7 days a week. Our friendly team of staff are experts in the industry with professional training in the BPA (British Pyrotechnics Association) qualification, having also worked on many different types of display events and functions, gaining the expertise to offer all customers. Single Ignitions are a prominent feature in our fireworks for sale stocks and have become very popular as they perform like a display in a box, with a simple, one light fusing system. More of these items will be added this year including Trojan – £79.99, with 134 shots of red tipped silver palm through chasing angled crossettes and brocade crowns to a fantastic noisy final. Ammo Box at £99.99 is sure to create excitement with its great presentation and the exceptional 106 shots of mine effects through to salvoes of spinning dragons to a dramatic comet and silver trees finale. The Ultimate Collection will sit pretty on our shelves and cabinets adding exceptional quality with professional effects to our fireworks for sale collection. The Extreme Power Mix starts with two twin cakes – Hercules and Atlas. Hercules performs for thirty seconds with 49 huge shots of red palms to brocade crown, silver palm to brocade crown, silver palm to red glitter, green dahlia to white glitter and a crackling willow, and all this for very reasonable £74.99. For the same price Atlas, again produces 49 large shots, with a red palm to white glitter, gold glitter to blue stars, green glitter to blue stars, white glitter with silver palm and red glitter to popping flowers, fired over a thirty second duration. Thunderbolt and Lightning enhances our £80.00 range of fireworks for sale and does exactly what it says on the tin – a rapid firing, 100 shot ignition producing whistling tails turning to crackling, strobing stars. Coconut Tree, another large calibre cake is priced at £95.00 with a duration of fifty seconds, making it a seriously impressive finale piece! Its large 60 shot effects include – silver bursting coconut trees to red and blue stars, fired in a chasing fan with a salvo finale. Please visit our fireworks online website to find out more information regarding our current range of products. All items can be ordered and delivered straight to your door or you can visit us direct and purchase from the store. More articles about new firework lines will also be posted on our news page over the coming weeks and months. This entry was posted in Uncategorized on May 15, 2013 by Rob Cotterell.